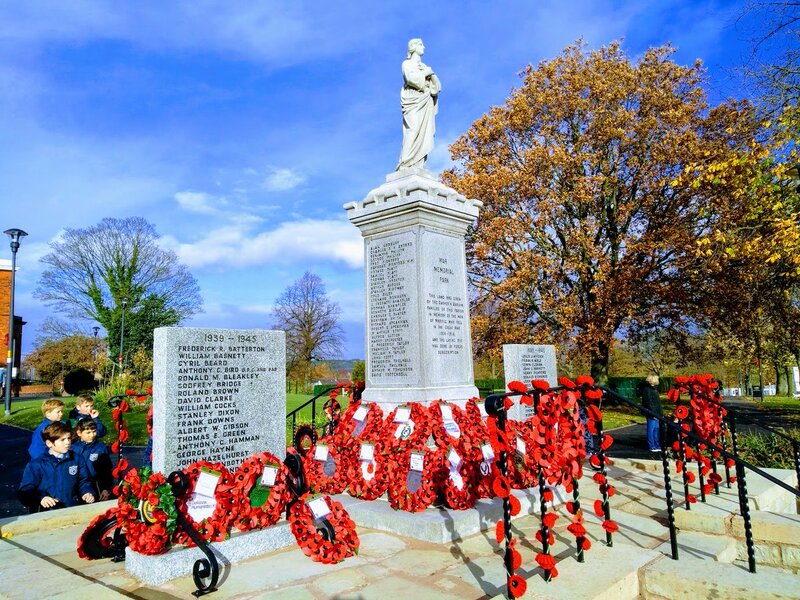 2018 Marple Poppy Appeal Record Total! The final counting is completed and the 2018 Marple Poppy Appeal has raised an amazing record total of £22,129.37. Very well done to organisers Kevin Murray, Mike Openshaw and Ron Townley plus everyone who helped in many different ways. This year has been an extra special year for the Marple Poppy Appeal! It was, of course, the centenary of the end of WW1 and during that conflict Marple and the local areas lost 198 brave young men who died serving their country. In their honour we put up 198 street poppies, each individually naming one of the men and the month and year in which they fell. There is a short film about this at the bottom of the page. In addition, we also launched our “Who was I” campaign, which encouraged local people to find out a little bit more about these men. This was extremely successful and particularly popular with the local schools. The Society of Marple Artists created a Remembrance Art Exhibition in Marple Library during the first week of November and the paintings on show were of the highest quality, many of which were bought by visitors to the exhibition. This year’s poppy appeal has been very demanding with all the various things going on but the response from the general public and local businesses has been overwhelming and we, as an organising team, have been staggered by their generosity. Today during counting we have reached a very poignant figure of £19,800, which is very emotional as it relates so perfectly with the 198 men we have honoured this year. We are still in the last throes of counting so the final figure will be slightly higher, but we would like to take this opportunity to say thank you to all the volunteers, local businesses and the general public for their enthusiasm, endeavour and willingness to be a part of this so worthy campaign and proving yet again that the people of Marple, Marple Bridge, Compstall and Mellor are extra special indeed. Our sincere and heartfelt best wishes go out to you all.